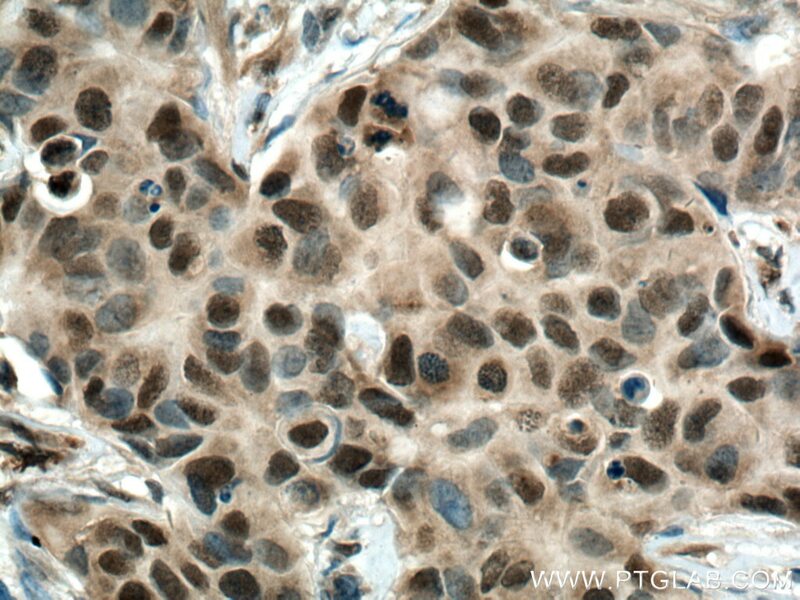 Immunohistochemical analysis of paraffin-embedded human breast cancer tissue slide using 20234-1-AP (CSNK2B-specific antibody) at dilution of 1:200 (under 10x lens) heat mediated antigen retrieved with Tris-EDTA buffer(pH9). 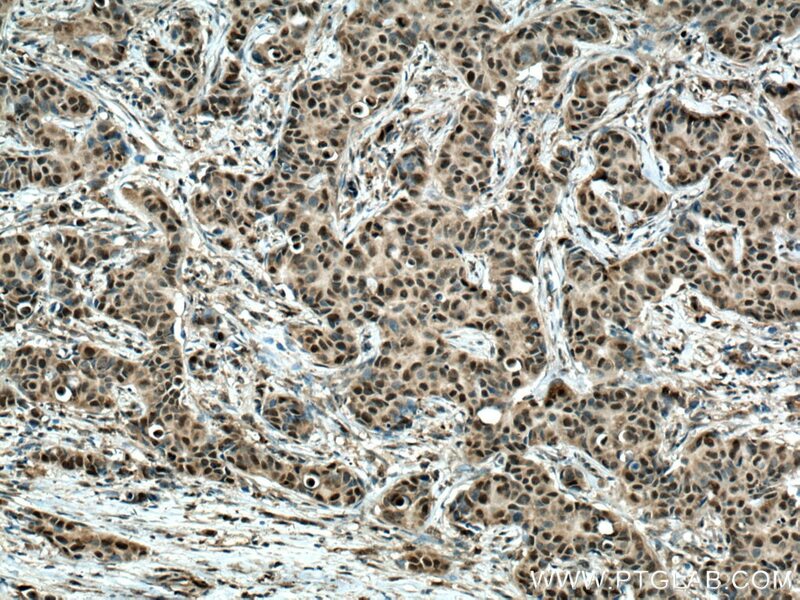 Immunohistochemical analysis of paraffin-embedded human breast cancer tissue slide using 20234-1-AP (CSNK2B-specific antibody) at dilution of 1:200 (under 40x lens) heat mediated antigen retrieved with Tris-EDTA buffer(pH9). CSNK2B, also named as CK2N, G5A nd CK II beta, belongs to the casein kinase 2 subunit beta family. CSNK2B participates in Wnt signaling. It plays a complex role in regulating the basal catalytic activity of the alpha subunit. The antibody is specific to CSNK2B. Oocyte-specific deletion of Gsα induces oxidative stress and deteriorates oocyte quality in mice.